Bali Half-day Tour Packages, best activities in Bali in a short day itinerary within 5 hours to 6 hours to go and visit the best places in Bali island Indonesia. It is a private Bali day tour packages with a private car/van (air-conditioned vehicle). All Bali half-day tour packages will be accompanied by our professional and friendly Balinese drivers who are always ready to assist and guide you to explore the most interesting places to visit in Bali island and it will make your short day trip are full of unforgettable experiences. 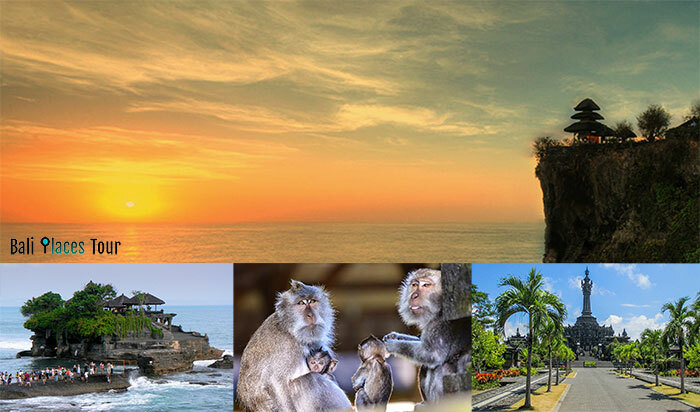 Bali half-day tour packages are suitable for those of you who do not have much time to fill a holiday on the island of Bali, and it's perfect choices for family tours with children because the trips just take around 4 hours to 5 hours instead of Bali full day tour packages that spend the time in a whole day to go to the beautiful places in Bali. Below we give you many options to choose from the selected Bali tour packages in a short day to visit the top tourist destinations and best tourist sites in Bali Indonesia. If you would like to visit other nice tourist spots in Bali that are not listed in our Bali half day tour packages list, please let us know and we will arrange it for you according to your desires. We are from Bali Places Tour (Trusted & Best Tour Operator in Bali) will be very happy to help you and give you accurate information about what to do in Bali, e.g. Bali tours, Bali activities, Bali adventures, and more. 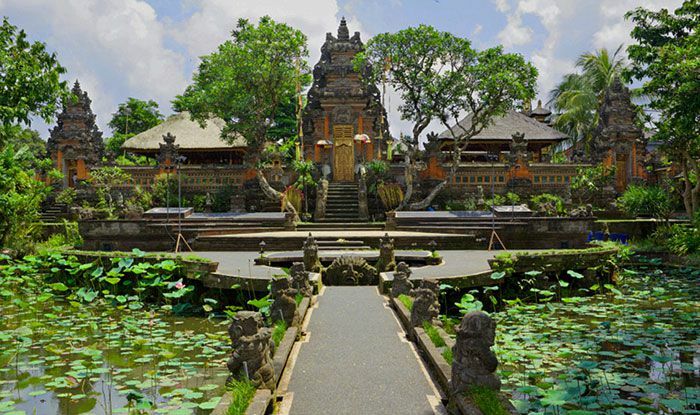 Bali Ubud Tour is a half day Bali tour package to visit several interesting places in the region of Ubud Bali Indonesia. Ubud trip is one of the most popular Bali short trips program to visit the traditional villages which are famous for the activities of their local communities, such as Celuk Village which is popular for its gold and silver handicrafts, Mas village for its wood carvings or wood crafts, Batuan Village which is well known for its painters and art paintings, and also to visit the beautiful of Batuan temple. And the trip is ended in Ubud town which is famous for its culture and social life and well known as the center of arts in Bali island. We will stop to visit Ubud monkey forest and its temple which is known as one of the most sacred monkey forest in Bali. Check also (Kintamani Volcano Tour with Ubud Village Bali Day Tours Package). Bali Uluwatu Tour is an exciting Bali half day trip package to visit Pura Luhur Uluwatu Temple, the most famous Balinese temple situated on the cliff facing the Indian ocean on the southern coast of the island with the breathtaking sight of the sunset. 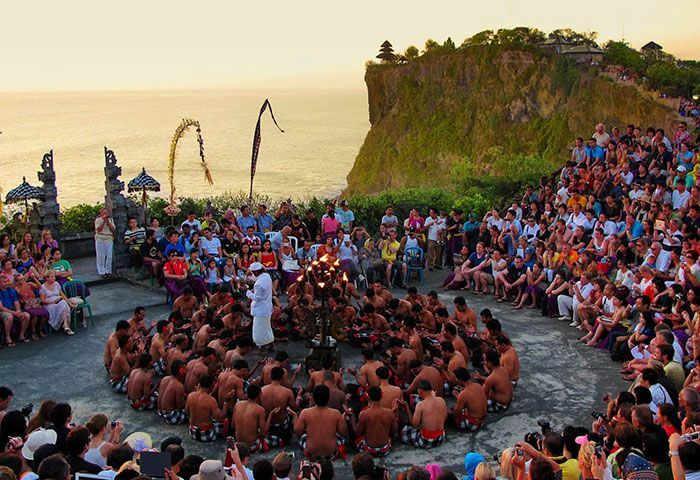 We will enjoy the beautiful panorama of the temple on the cliffs with the view of the sun setting down in the background while watching the Kecak dance performance. The tour is ended in The Jimbaran bay for having seafood dinner. 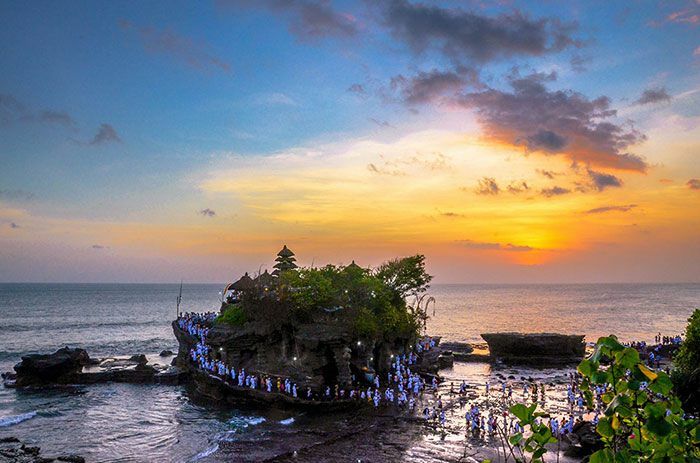 Bali Tanah Lot Tour is a Bali tour package in the short day to visit Pura Luhur Tanah Lot Temple, the most popular and most visited tourist destination in Bali for both locals and international travelers, Here we can enjoy and relax the amazing view of Tanah Lot temple and the sunset. Tanah Lot becomes one of the most photographed sites in Bali if you love photography you probably want to try your skills to shoot in the golden hour at Tanah Lot Bali. Bali Denpasar City Tour is a Bali half day tour activity in 5 - 6 hours to visit the Denpasar town. 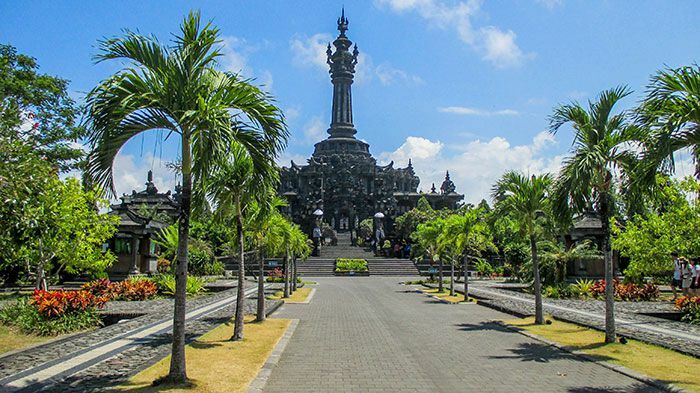 Denpasar is the capital city of Bali and became the economic center of Bali Indonesia, the itinerary of Denpasar tour is to visit the traditional market of Kumbasari, visit Bali museum, Bajra Sandhi monument, and visit the modern style of a shopping mall. If you would like to book one of the Bali half day tour packages above or any other sightseeing tours to go to interesting tourist attractions in Bali, please contact us! and let's explore the beautiful of Bali with us.